Our company was established in 1986 and its main activity was production of special machines whose technology was based on cold forging. We designed our first machine for producing air gun pellets 16 years ago. Since then we have been developing our own technology. - dissipation: 12 mm circle at a distance of 20 m from a fixed rifle. 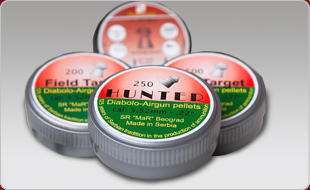 Our company produces several types of air gun pellets in two different calibers: 4.50mm (0.177”) and 5.50mm (0.22”). About 70% of the total production is exported to various markets. We export the largest part to the European Union market.